For those of us who still cook with charcoal, temperature control is one of the most fundamental skills we need to master. Many an amateur pit master has fired up their brand new charcoal smoker only to end up wasting perfectly good meat because they didn’t know how control their temps. But don’t worry. With a basic understanding of how temperature control works you’ll be equipped with all the knowledge to go out and master your pit. And then you can join the proud tradition of looking down on people who cook on the much easier gas, electric or pellet grills. What to do if You See Thick, White Smoke? 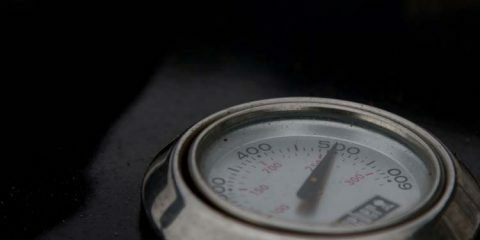 A steady smoking temperature is necessary for fully cooked, tender, smoked meats. 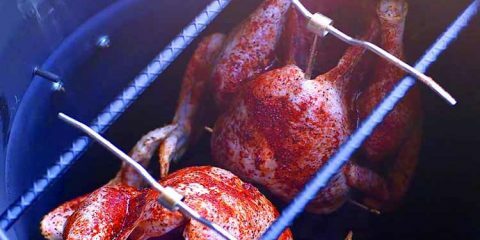 For most low and slow cooking, that means we need to know how to get our smoker to between 225 – 250°F and then keep it there for 4 – 16 hours. There is much more to temperature control than loading up the firebox. 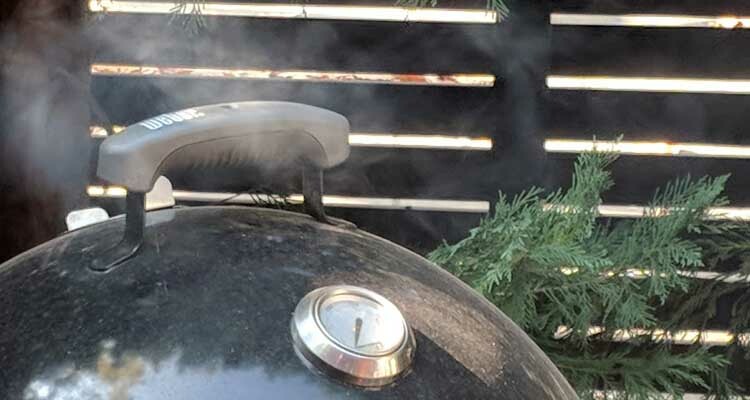 Knowing how to make the most of your smokers air vents is key. Most smokers have two types of vents, one at the bottom and one at the top, although smoker designs do vary. The bottom vent, located near, and usually under, your firebox is known as your intake vent. The top vent, is your exhaust vent. Air comes in your intake vent. Warm air circulates from your fire box out the exhaust vent. Because hot air rises, your exhaust vent acts as a vacuum to draw air into the intake vent. When this hot air rises, it heats up your smoker. 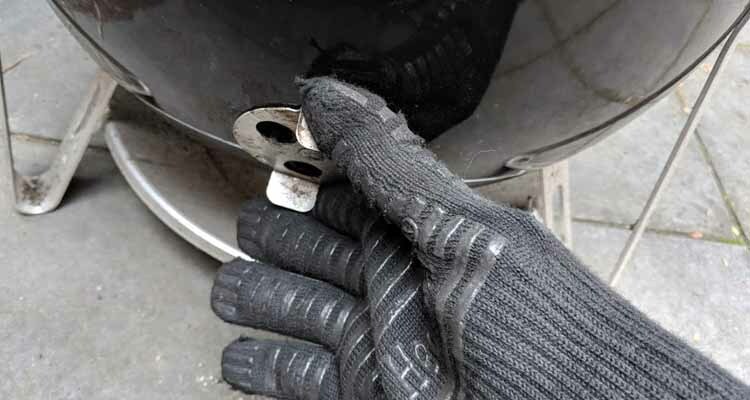 The exhaust damper needs to be at least partially open at all times in order to keep combustion gases from smothering the fire like a wet blanket of CO, CO2, and other combustion products. So we know that the way to control your temp is by adjusting the intake dampers. But before you go opening and closing them and overshooting the mark a word of caution. The best explanation we’ve heard for this comes from the folks over at Geek With Fire. A smoker’s firebox and vent system can be compared to a large truck with a small engine. It is going to take some time to get the truck up to speed. However, once you get up to speed, it is even harder to slow down due to gravity, momentum, and the size of the truck. Just like with a truck, a smoker takes a while to reach your desired temperature. Once your temperature begins to rise, it can go rapidly. When you do reach that temperature, you will have a hard time going back down. This is called an overshoot. You don’t want to make a habit of overshooting your target temp. It is important to remember to make minor adjustments BEFORE you need to. This will help you avoid overreacting and overshooting the temperature you were trying to reach. Make note of how fast your temperature is rising. 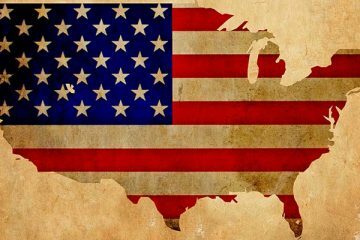 The faster it is rising, the sooner you need to take action. Want to back off your temperature? Adjust your intake vent to a more closed position. This will let less oxygen in to heat up your smoker, causing the temperature to rise at a much slower rate. Feel like your smoker just isn’t hot enough? First, ensure you still have enough charcoal in your fire box. If you’ve been running your smoker for several hours a gentle stir may be enough to get back up to temp. Sometimes you just need to add more fuel though. Avoid over adjusting your vents. When you make an adjustment, give it plenty of time to work before adding another adjustment. Our primary aim here is to not blow an entire pay check on ruined meat. The best way to do this is to make sure you have full control of your barbecue at all times. 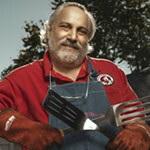 This means you know exactly how to get it to a safe smoking temperature between 225 – 250°F, and how to hold it there. It also means you know how to make adjustments when things go wrong. Malcolm Reed of HowToBBQRight recommends taking your smoker on a trial run before loading it up with meat. This makes a lot of sense. All smokers work a little differently. The time it takes for different smokers to reach your target temp varies. 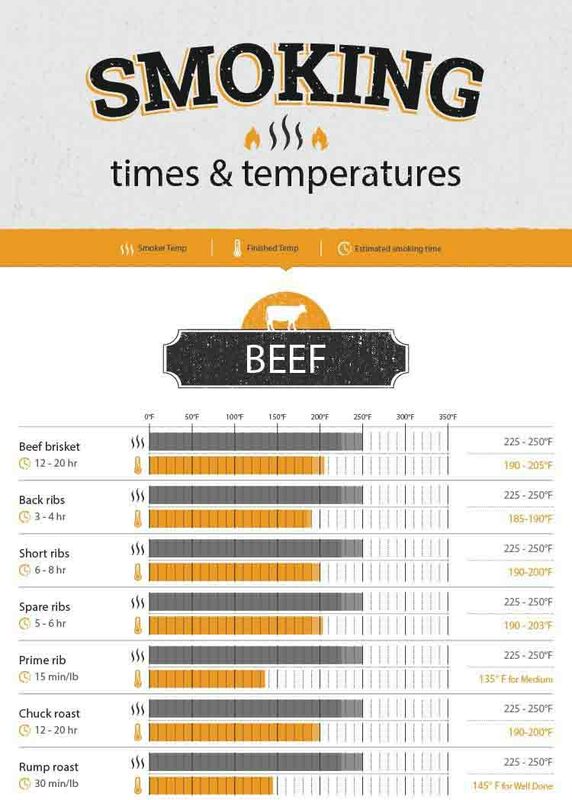 While most smokers come with a built in thermometer, these can be up to 50°F off the actual temp where your meat will be sitting. This is why we always recommend using a dedicated thermometer to keep track of your temps. Even during a dry run it’s well getting in some practice. 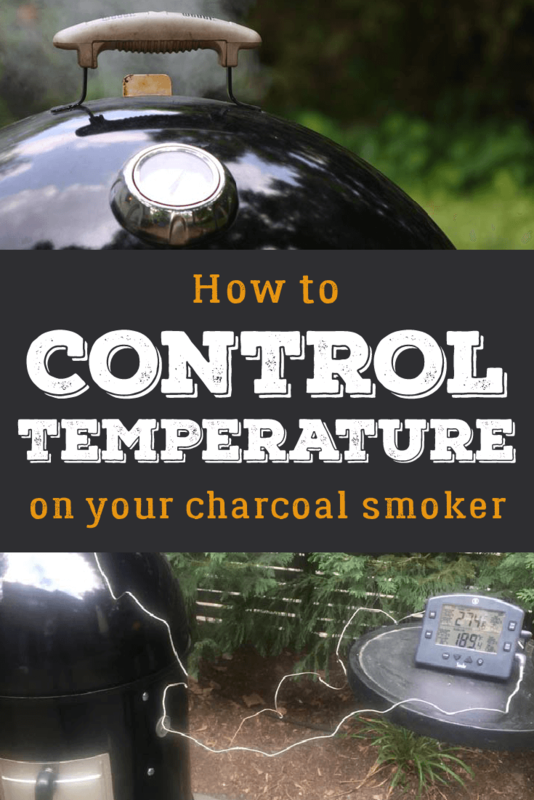 You can take notes about how long it takes for your smoker to get up to temp. You can then pay careful attention to how your vents work, and how adjusting them slightly can result in large temp swings. 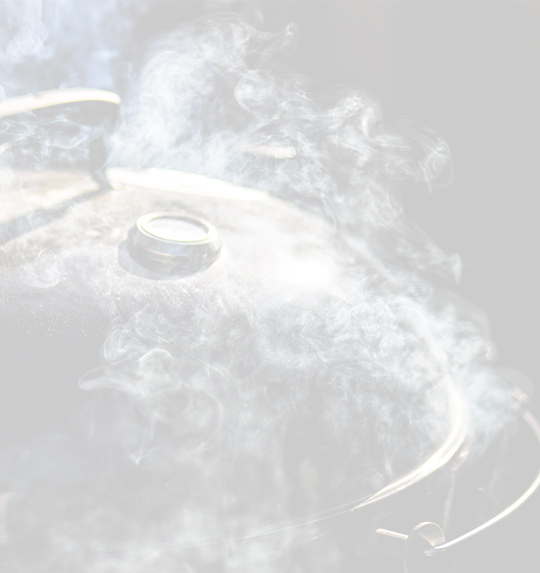 Thick white smoke is an indicator that your wood isn’t burning properly. Ideally, the smoke coming from the exhaust vent should be thin and blue in color. Thick white smoke will impart an undesirable, bitter flavor to your meat. Damp wood is commonly said to be the culprit when thick white smoke is present. If you can help it, avoid using damp wood. Adjust your intake vent to allow more air flow. An increase in air flow will help ensure a hotter fire, therefore your wood will combust and burn quicker. Weather is always a factor when smoking. This can be an even bigger factor if you are cooking with a cheap or poorly insulated smoker. A windy day will cause more air to flow through the intake vent, causing a hotter fire. Cold weather outside can also cause you to loose more heat through the walls of your smoker. Always keep more fuel on hand than you usually would. Smoking isn’t just a summertime activity though so you shouldn’t let bad weather put you off. Just be sure to account for wind ideally by placing your smoker in a sheltered position. You may also want to close your vents off slightly more than usual. So far we’ve learnt how you can control the temp in your smoker by adjusting the air vents to achieve your desired temps. While this can achieve reliable barbecue low and slow temps, you’re going to get the occasional flare up. All it takes is a change in the wind direction (especially if your smoker is on the leaky side) and you can experience a dangerous heat rush. 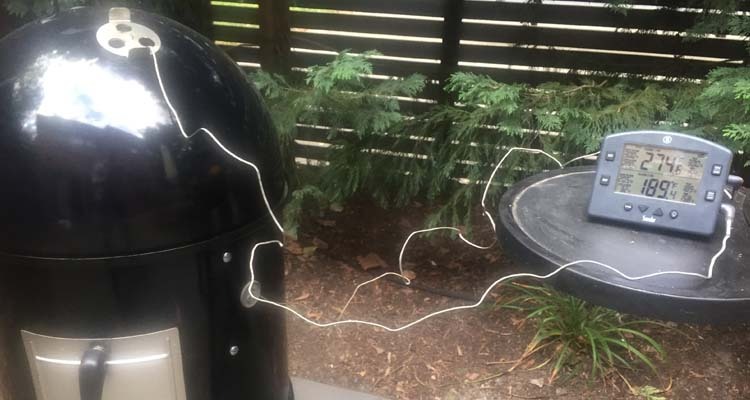 Rather than baby sitting your smoker all day (and potentially all night), some very clever people have invented a device to do this for you. 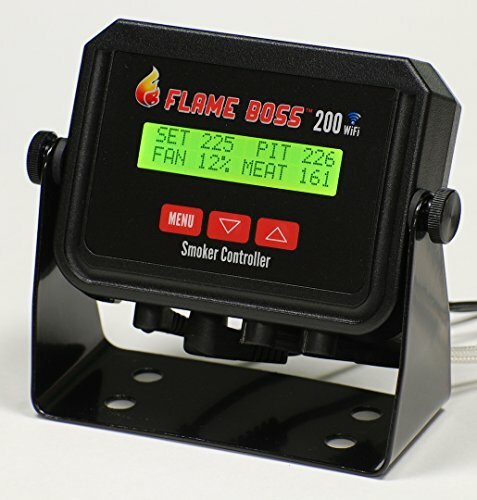 These automatic temperature controllers work by connecting to your smoker and then regulating the air flow to maintain a steady temperature. They take the guess work out of constantly adjusting air vents. For those of you who like to stay warm and comfy in side (or in bed) while your food smokes, these units are a life saver. The WIFI connection allows you to keep an eye on the temperature and even adjust your desired temp on the fly. These units also come with more features that let you produce logs and graphs to impress your geekier barbecue mates. 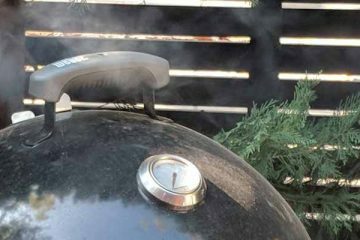 After reading this guide you should feel confident using the vents on your smoker to control your temperature. There’s no substitute for practice though! 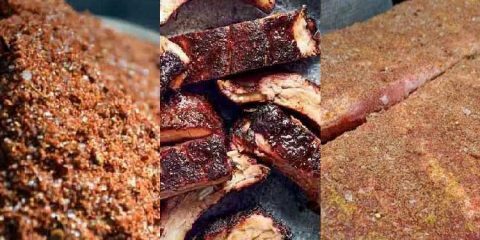 The best thing you can do is experiment with your new smoker in a variety of different conditions to get a feel for it. 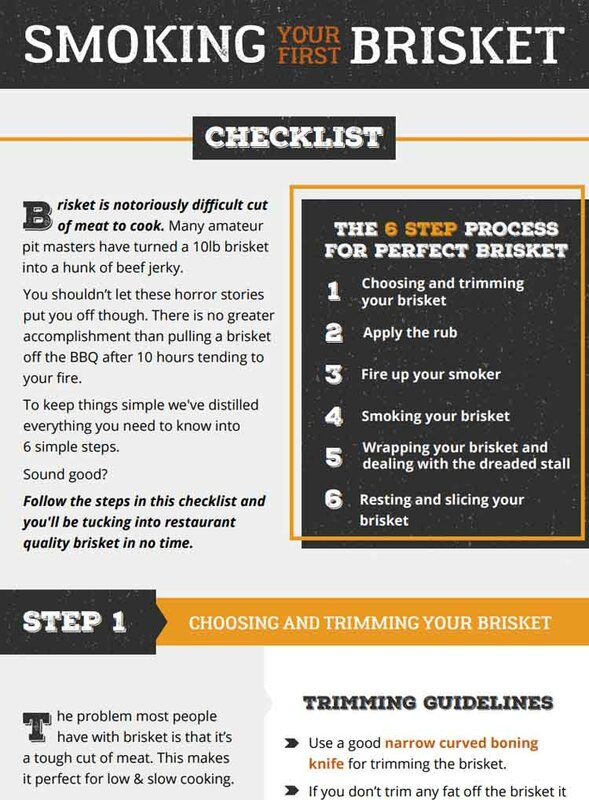 If you are cooking on a Weber Smokey Mountain there is a fantastic guide to all the factors that might be making your smoker run hot or cold. Otherwise let us know in the comments below if you have any tips or suggestions you think we’ve missed for controlling your temps.